The Kalamazoo Ringers (KR) is the oldest continuously operating community choir in the country. Founded in 1981 by Janet L. Van Valey, KR has played extensively throughout Southwest Michigan, as well as toured throughout the Midwest, Ontario, England, and Japan. KR is directed by Martha Matthews and is hosted by Grace Harbor in Kalamazoo, Michigan. The 15 ringers play a six-and-a-half octave set of Malmark handbells along with a six octave set of Malmark Choirchimes. 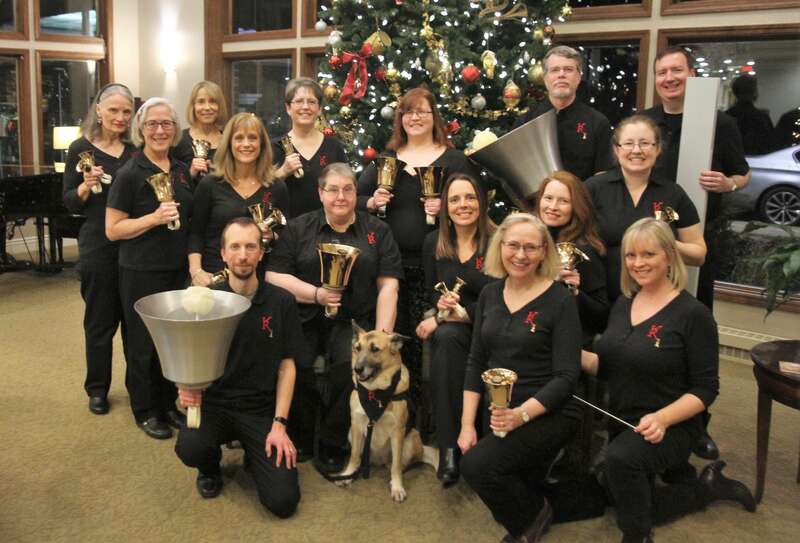 KR is a member and strong supporter of the Arts Council of Greater Kalamazoo and the Handbell Musicians of America. They have attended and served as featured artists at numerous workshops and festivals sponsored by the Handbell Musicians of America. Kalamazoo Ringers is excited to be starting our 2018-19 season, our 38th continuous year as a community choir. We are delighted to announce that Martha Alford Matthews has accepted our offer to become the new artistic director of the Kalamazoo Ringers. At the completion of our 37th season, KR’s founder, Janet Van Valey, retired from the ensemble’s directorship. During the past year, Martha shared the podium with Janet, dramatically facilitating the transition of directors and Martha became part of our KR family. The season culminated when KR gave a feature concert that Martha and Janet developed and co-directed as part of the opening ceremonies of the Handbell Musicians of America National Seminar in Grand Rapids, Michigan. This was a high honor for our handbell ensemble and its directors and the resulting bond these two directors made is what makes our bell world such an amazing community. Stay Connected! Sign up to receive email or mail notices of upcoming events and concerts! K.R. is always looking for more ringers to join their team! 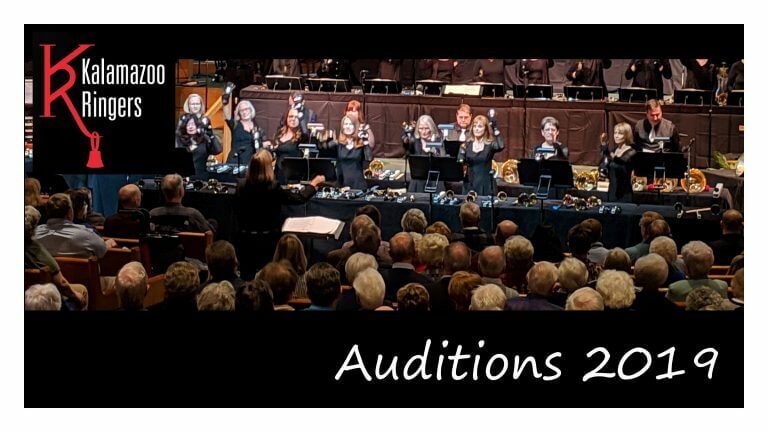 If you are interested in joining a bronze-level handbell group, please review the acceptance details below and then submit an Audition Application at least 3 days prior to the Auditions date. A newly accepted ringer is on probation for one year. Following that year, pending approval, the ringer becomes permanent. Commitment to Kalamazoo Ringers requires attendance at rehearsals, concerts, fund raisers and other events. For more information, including policies and procedures, please contact Martha Matthews at director@kalamazooringers.org.